Well, here is something that has the potential to disrupt the remote desktop on mobile space. 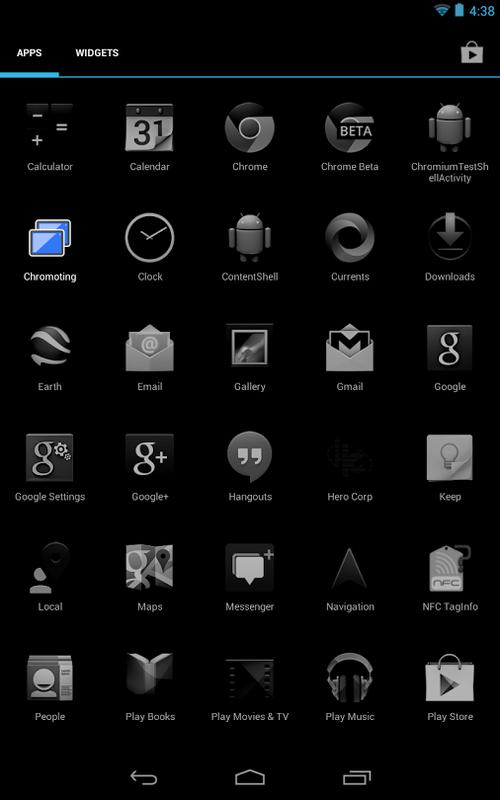 The chromium team at Google has started working an unique app called the Chromoting Android App using which you can access another user's Android Device screen and the system pretty much like the Chrome Remote Desktop app which is meant for the Chrome Desktop browser. The Chromoting Android App is meant to be used along with the Chrome Browser for Desktop and will certainly help users to troubleshoot issues in the devices of their friends who are currently not available in person. Not only this, the Chromoting Android would let you totally manage your phone right from your Computer's Chrome Browser without even touching the phone. You can also remotely access another user's phone right from your device (phone) - something like a Remote Desktop Service for mobile phones. Querying and Displaying the host list from the Chromoting Directory Server. In addition to this the Chromoting app is able to connect and communicate with the Chrome Browser on your desktop or another device with the app via XMPP / ICE. Ability to authenticate on an Android device by using a Google Account. Display the desktop of the host which you want to see remotely either from your Desktop or Mobile phone and also send Input signals to the remote host! We will keep you updated as soon as we hear more about this all new Chromoting App.